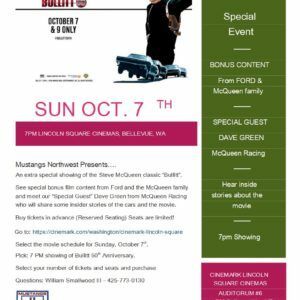 Mustangs Northwest has an opportunity to participate in another event. On Sunday August 12th from noon to 6pm Sodo Urbanworks in Seattle (south of Safeco Field on 1st Ave, 3901 1st Ave S, Seattle, WA 98134) is having a summer block party consisting of a Jazz & Wine Festival and vintage car show. 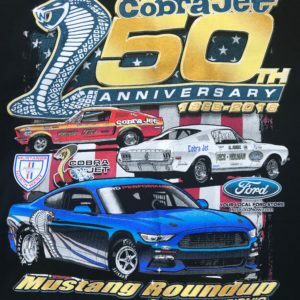 We have been invited to bring 10 vintage Mustangs (1964 ½ to 1978) to participate in the event. I already have 3 commitments so there are 7 slots left open and they will be filled on a first come first serve basis. There is no cost to participants and they will be able to enjoy the event. If you are interested please e-mail me at fbrobinson@yahoo.com to get on the list. I need name, year of car, phone number, and e-mail address so I can fill out the spreadsheet.